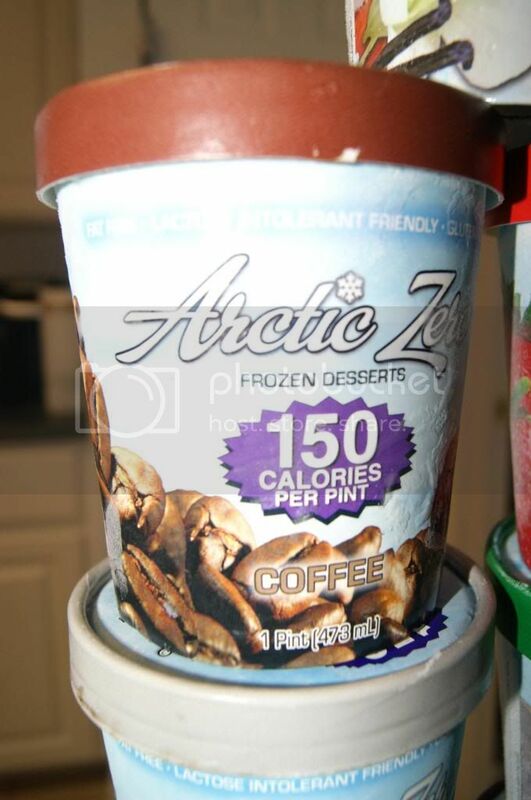 Andrea's World Reviews: Arctic Zero GIVEAWAY! 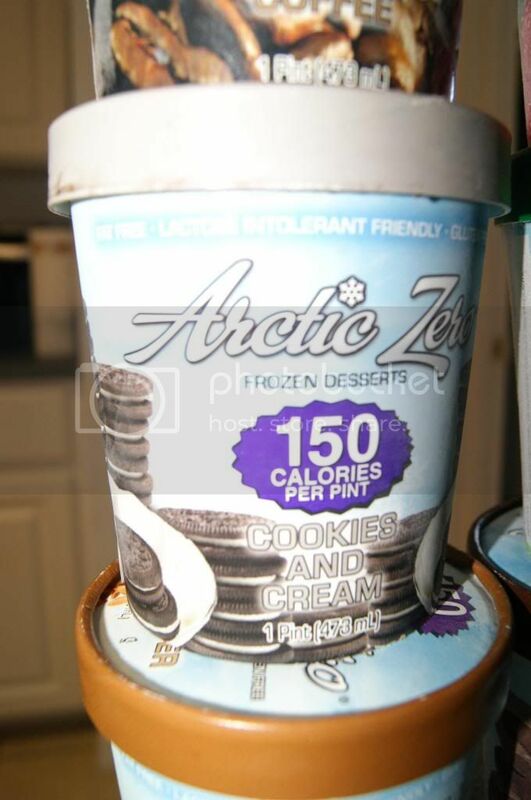 Some of you probably read my Arctic Zero review back in September, but I know that many of you are new and probably missed it. 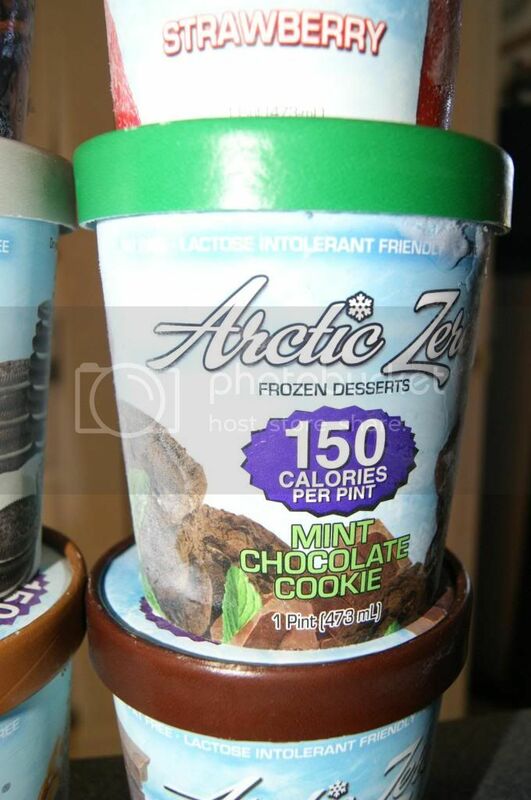 So since Arctic Zero is so awesome, I just had to share it with you you again. 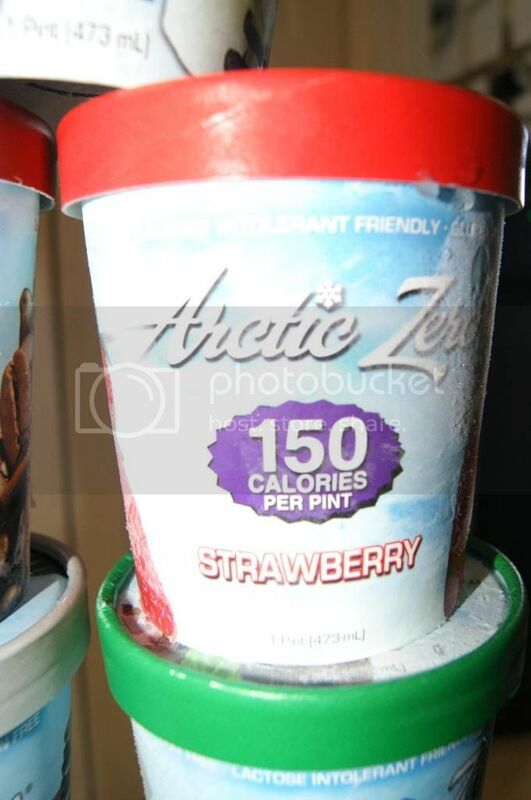 For those that don't know, Arctic Zero is a one of a kind frozen dessert that contains only 150 calories per PINT! 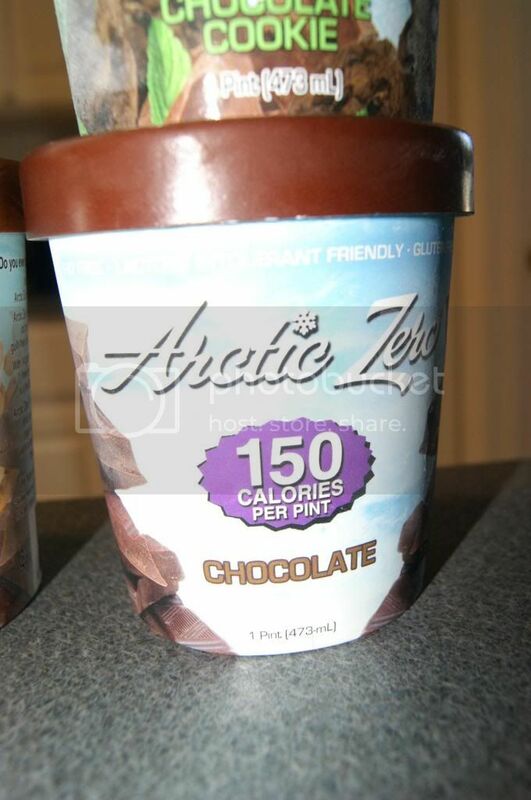 Ice cream has more than that per serving in addition to containing loads of fat, whereas Arctic Zero has NONE! ZERO FAT and LOW CALORIE. How awesome is that? And that is not even all. 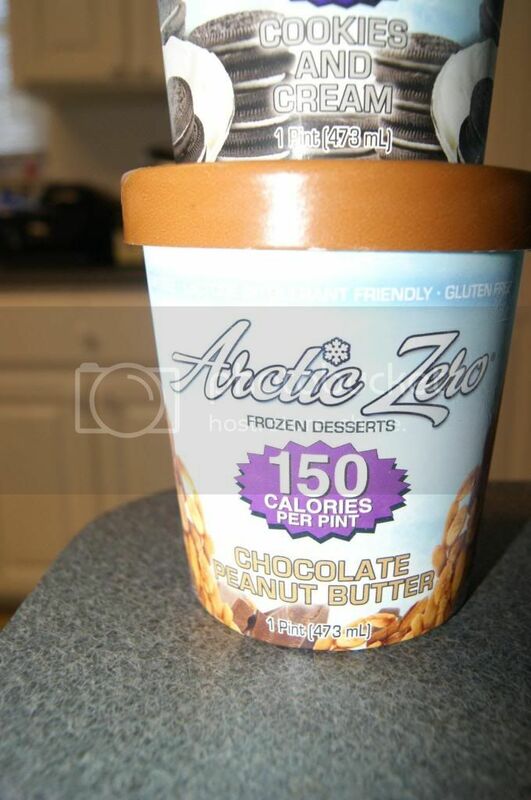 Arctic Zero is also Gluten Free, Lactose Intolerant friendly, Kosher, Non-GMO, Low Gycemic and suitable for Type 2 Diabetics. It contains 14 Grams Whey Protein and 8 grams of fiber per Pint, and contains ONLY natural and Organic ingredients. PLUS it comes in 7 awesome flavors(and seasonal flavors). All of the flavors are really good. My favorite is Strawberry, and Vanilla Maple is probably second, although none of them are bad. Since I am on this diet, I had to give up ice cream, so I am so glad that I have a tasty, weight friendly, frozen treat, that I can actally eat a good portion of. Even if I want the whole point, it is still very reasonable on calories. Usually though, I onlt eat half or less, making the calories really miniscule. One serving(1/4 cup) has only 37 calories. 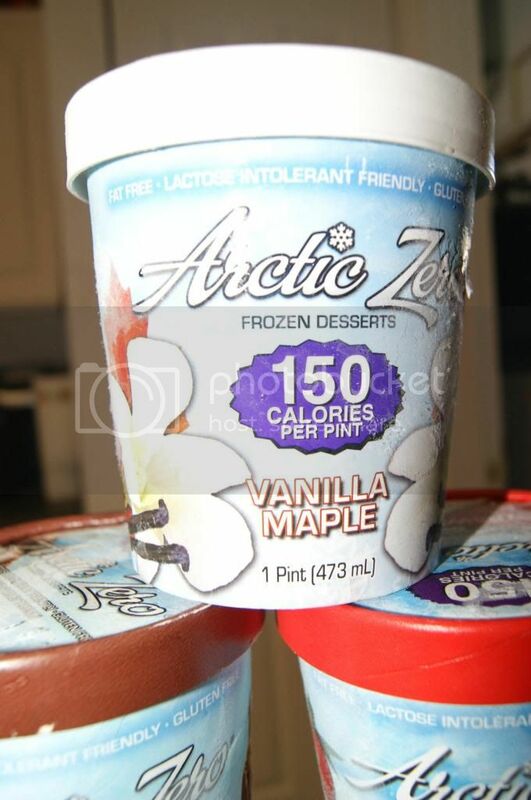 And Arctic Zero is not only great alone as a dessert, it can also be enjoyed with toppings or added to recipes. In fact, I found a super awesome way to use Arctic Zero. Combine flour, sugar, baking powder, baking soda, and salt in a large mixing bowl. Whisk egg, Arctic Zero and Melted Butter together. Pour the flour mixture into the wet ingredients and whisk until lumps are gone. Top with Butter, Syrup, more Arctic Zero, or any other toppings, or simply enjoy plain. These are really yummy. My husband loved them. I made them for a surprise Valentine's Breakfast and he said they were really good, and that he wants them like that way more. If you have never tried Arctic Zero, you really need to. It's always good to eat healthier when the stuff tastes this good. I know you will love it. 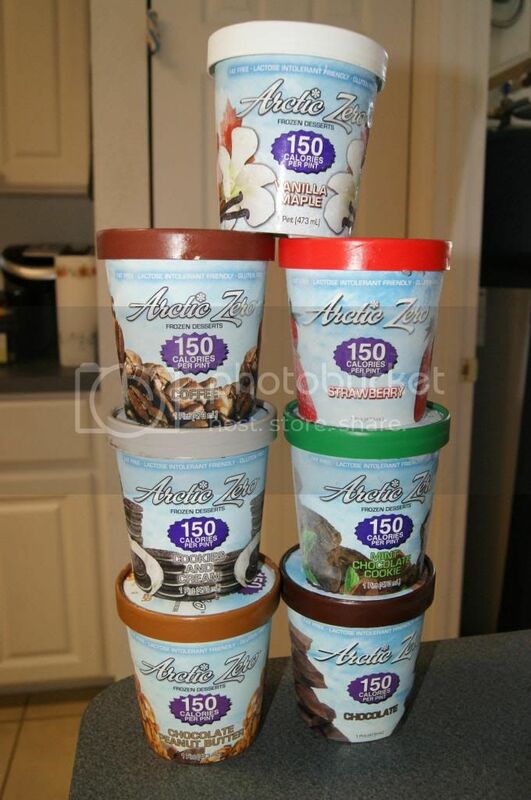 That is why Arctic Zero and I are giving away a case(1 of each flavor) of Arctic Zero to one lucky winner. Enter below. Good luck. I so hope to win! Would love to try it all. Hope I win. I would love to try the strawberry flavor! I have heard these are real good. Thank you for the giveaway.. Vanilla Maple! Sounds like such a unique flavor. Vanilla Maple or chocolate peanut butter! Mmmmm! I would try the Mint Chocolate Chip first! Fingers crossed! I'd love to win this! Chocolate or Mint Chocolate Cookie. Great idea for a frozen dessert. Let's see... two of my favorite flavors are vanilla and maple, so it's a no-brainer for me to pick Vanilla Maple! I want to try the vanilla maple! Mint chocolate chip or chocolate would be the ones I want to try first. I would love to try the Chocolate! OMG!!!! So hard to choose!!!!! Mint chocolate cookie, it`s always been my favorite flavor of anything. Boylan Shirley Temple Review and GIVEAWAY! Everybodies Lingerie Review and GIVEAWAY!! Knot Genie Review and GIVEAWAY! OWG Foods Review and GIVEAWAY!! Lugz Allerton Review and GIVEAWAY!! Mohawk Rugs Review and GIVEAWAY! 24/7 Frenzy Review and GIVEAWAY! - 5 WINNERS!! Journey Gym Review Coming Soon! Live Smart Flax Bars Review and GIVEAWAY! Tree Hut Shea Review and GIVEAWAY!! Valentine's Giveaway Event - Ends at Midnight! Lugz Is In The Air GIVEAWAY! Alight Clothing Review and GIVEAWAY! Granite Gold Review and GIVEAWAY!